Chatbots can take many shapes, sizes, and forms. 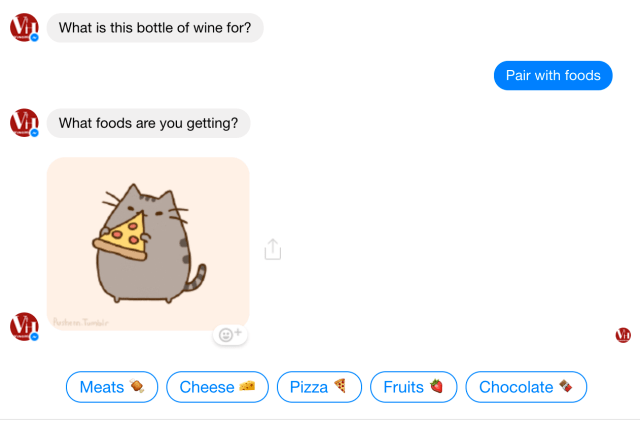 They can be as simple as something you interact with via Facebook Messenger to order a pizza or as complex as an enterprise AI engine that allows users to access all of an organization’s internal knowledge. 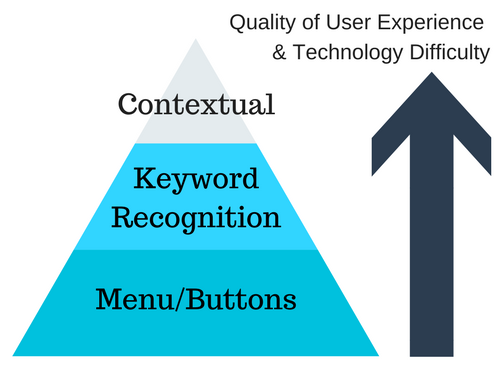 Some chatbots have UIs that are laden with response buttons and visual cues whereas others rely heavily on text-based user input that feeds into AI-powered keyword recognition. The most advanced chatbots can even remember past conversations and use this information to contextually shape the conversation to optimize the user experience. 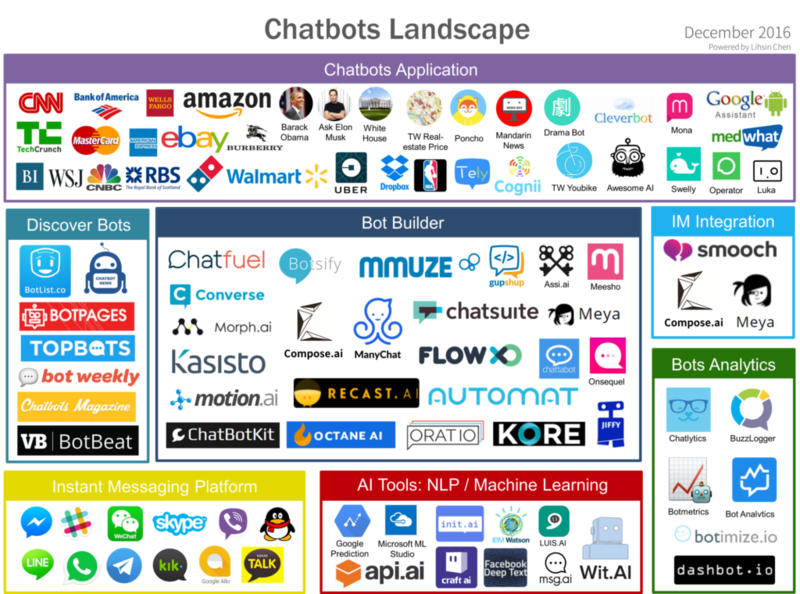 When it comes to deciding which chatbot is right for your organization, there is no shortage of choices. In fact, the number of options on the market today can be overwhelming for those that are unfamiliar with the industry and unable to determine the true chatbot needs of their organization. There are chatbots for tech support, chatbots for weather, chatbots for entertainment, and many, many more. No need to worry, we’ll cover everything you need to know about chatbots for tech support in this post. The easier question to answer might be ‘How can’t chatbots help with tech support?’ The opportunities for chatbots to benefit an organization’s tech support offering are seemingly endless. When it comes to tech support there are really two key metrics that we’re always striving to improve with those being the accuracy and time of issue resolution. Fortunately, chatbots for tech support can significantly help boost your performance in both aspects while also contributing in other key ways such as reducing the operating costs of your support team. Let’s face it we all get impatient at times. 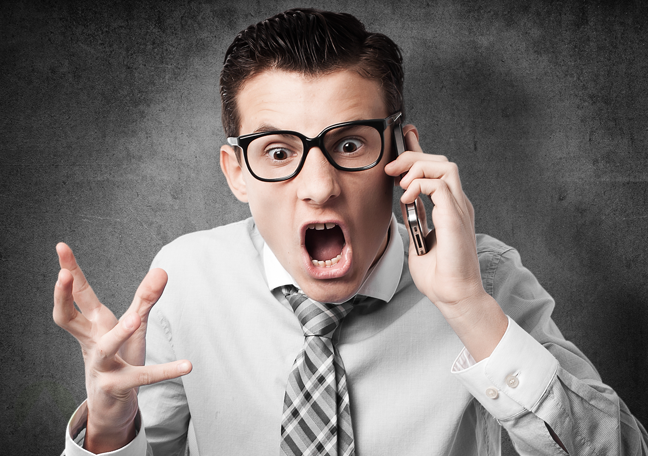 Put yourself in the shoes of a customer who is trying to get tech support on a device that is critical to the operations of their business and you’re bound to get frustrated waiting on hold. Not only can this hurt your customer satisfaction but it can cause you to lose that potential customer and any repeat business from them. Chatbots for tech support allow your organization to instantly respond to all of your customers’ tech support needs without having to overstaff. This benefit is vital as tech support needs often undulate immensely based on variables such as the time of year, the day of the week, and specific hours of the day. Chatbots for tech support can automate the process of routing your customers to the right agent, team, or even another chatbot based on the needs of their tech support issue. You no longer have to worry about agents wasting their time collecting basic customer information necessary for issue routing or the possibility of human error resulting in misrouting. Chatbots for tech support can make this process easy for the customer by displaying visual buttons in an intuitive manner that ensure they get routed appropriately. Successful tech support doesn’t happen without proper issue routing, and chatbots are the perfect solution. When it comes to the accuracy of issue resolution, chatbots for tech support can help to consolidate the knowledge needed to provide tech support while also eliminating the potential for human missteps such as poor communication and misunderstanding. You don’t need to worry about a chatbot misremembering a troubleshooting step or inconsistently providing support procedures to customers. On the other hand, chatbots for tech support offer an exceptional opportunity to aggregate the knowledge your organization needs to provide superior tech support while automating the process in which you relay that knowledge to your customers in need. From a time to resolution standpoint, chatbots that automate answers to your customers’ most frequent issues are always going to be faster than a human agent that has to sort through their experience and the resources available to them to find the right solution. 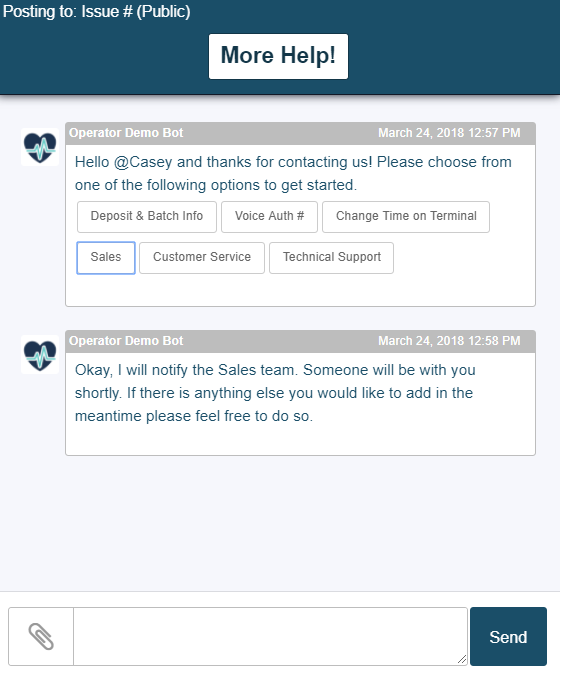 A well-designed chatbot for tech support will always have these answers at its fingertips. If it actually had fingers of course. Monetarily, chatbots for tech support can also provide a significant boost to the profitability of your tech support offering by reducing costs and improving scalability. The right chatbots can allow your team to solve more tech support issues with heightened accuracy and without the need to bring on additional resources. If we didn’t already have your attention we must by now. Chatbots can help reduce customer service-related costs by 30% according to a 2017 study by Maruti Techlabs. When it comes to use cases, chatbots for tech support can fill two primary roles at the moment. Chatbots for tech support can be used to assist your team of remote support agents turning them into chatbot-assisted support agents. Sounds pretty cool, huh? What’s even more mind-blowing is the fact that chatbots for tech support can actually resolve tech support issues without the need for any human involvement. The future of tech support is here, and chatbots are at the forefront. 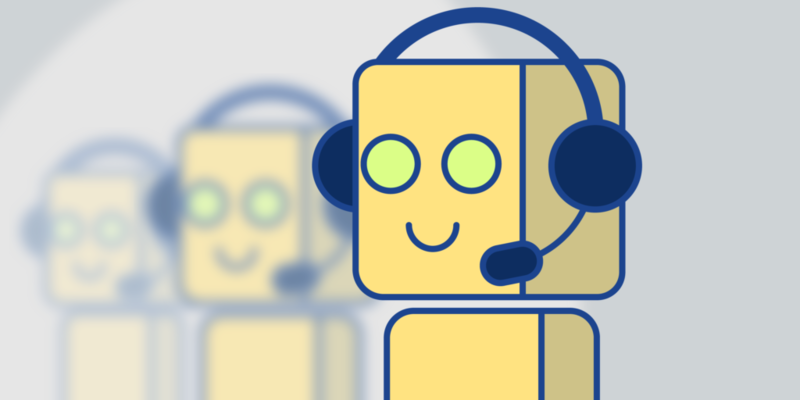 Chatbots for tech support can assist human support agents by helping them access the troubleshooting knowledge they need faster than the alternative. While the agent is on the phone with the customer, they can interact with the chatbot and quickly provide it with crucial troubleshooting details that they’ve extracted via their phone conversation. The chatbot can then respond with the appropriate troubleshooting steps based on what the support agent is providing. You didn’t know support agents and chatbots make such a great team, did you? Not only can chatbots for tech support help remote support agents provide tech support over the phone but they can also automate the entire issue resolution process and eliminate the need for any human involvement. Yes, you read that right. Not only can these chatbots for tech support find the right troubleshooting steps faster and more accurately than a human but they allow your support team to scale volume-wise without having to incur the costs of hiring additional team members. Finding the right chatbot for your organization’s tech support needs is critical to getting a worthwhile ROI. There are several questions you should ask yourself before deciding on the right chatbot partner. This question provides a perfect starting point as many chatbot providers require you to build your own chatbots. If you’re going to create and manage your own chatbots for tech support, then you need to make sure that you have a qualified resource in-house that can take on that challenge. While some chatbot platforms have very intuitive interfaces that make chatbot building reasonably simple, it is still going to require a lot of time and effort. Don’t forget that in addition to building the chatbots you will need to be able to monitor the performance of the chatbots analytically to determine how they’re performing and identify areas for improvement. Depending on the chatbot needs of your organization it is feasible to imagine needing a full-time dedicated resource or more to accomplish this. 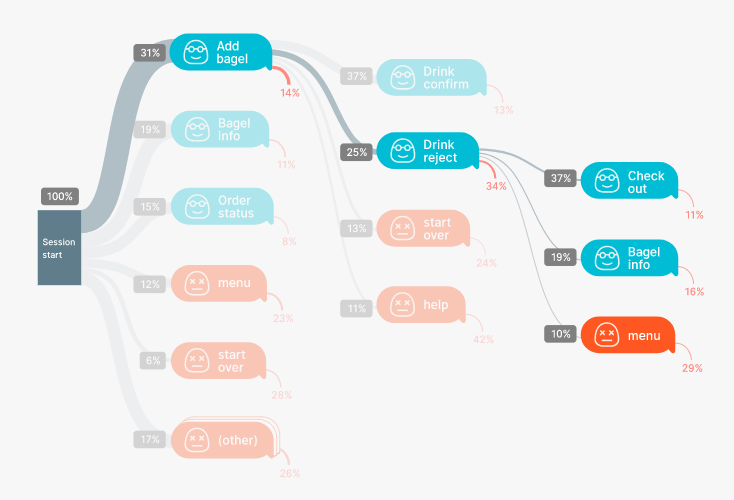 In the screenshot below, you can see how Google’s Chatbase chatbot analytics allow you to analyze the performance of your chatbot’s various conversation paths. A lot of the DIY chatbot providers have general all-purpose solutions that may lack the granularity needed to tackle your organization’s tech support needs. Be wary of chatbots designed only to automate basic FAQs that you would typically find on a business’ website as these chatbots will struggle to handle advanced tech support troubleshooting scenarios. When it comes to automating tech support you’re better off partnering with a niche chatbot provider that can build chatbots capable of handling the complexity and randomness of tech support. 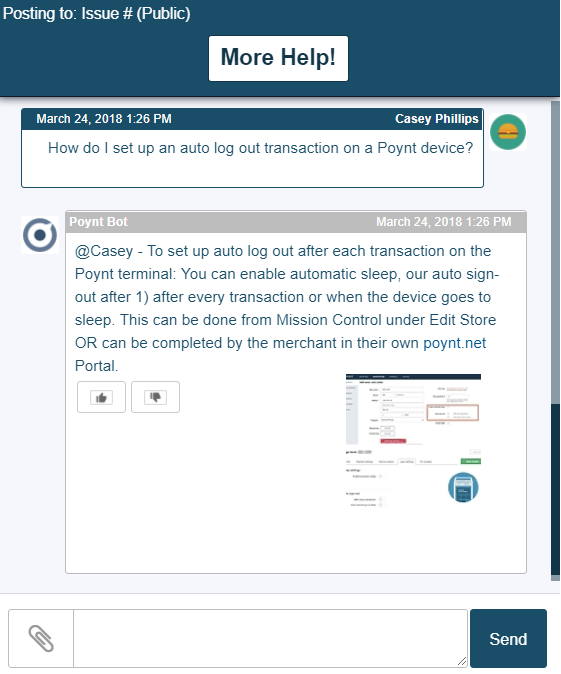 Let’s be clear, ordering a pizza from a chatbot and trying to troubleshoot a Poynt Smart Terminal via a chatbot are two very different scenarios that require entirely different degrees of AI capabilities. 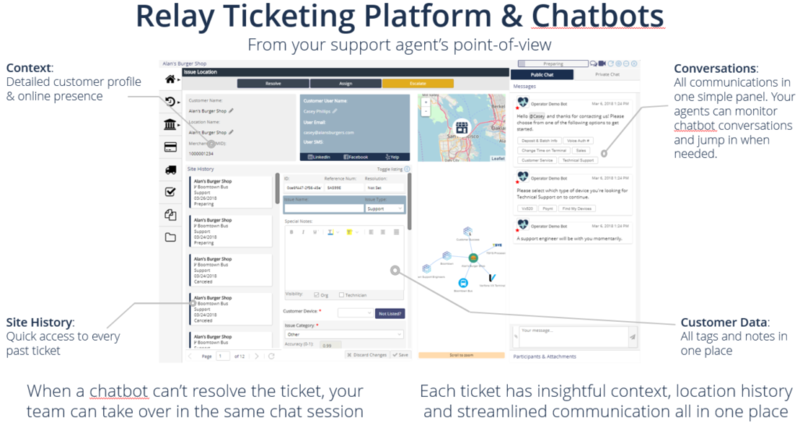 If possible, try to choose a chatbot partner that can integrate with your tech support team’s project ticketing system as there is incredible value in being able to incorporate your ticketing platform’s data into the chatbot’s AI engine. It’s even more ideal if you can find a technology provider with a project ticketing system and built-in chatbots. That type of partnership is going to be as good as it gets. 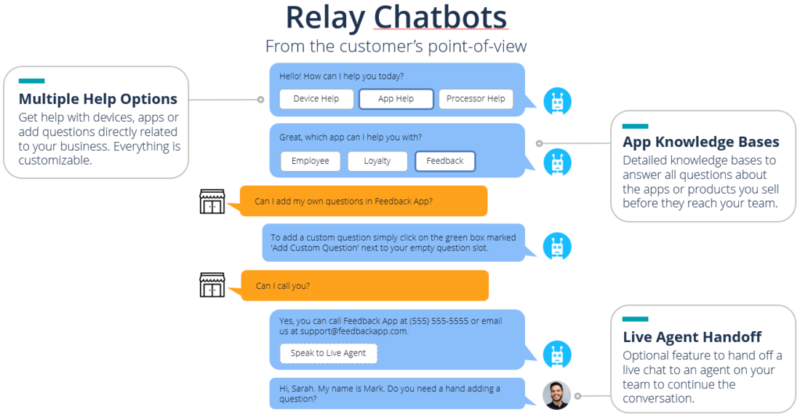 The Relay Chatbots have the capabilities to provide all of the value and benefits to your tech support offering that we’ve covered. 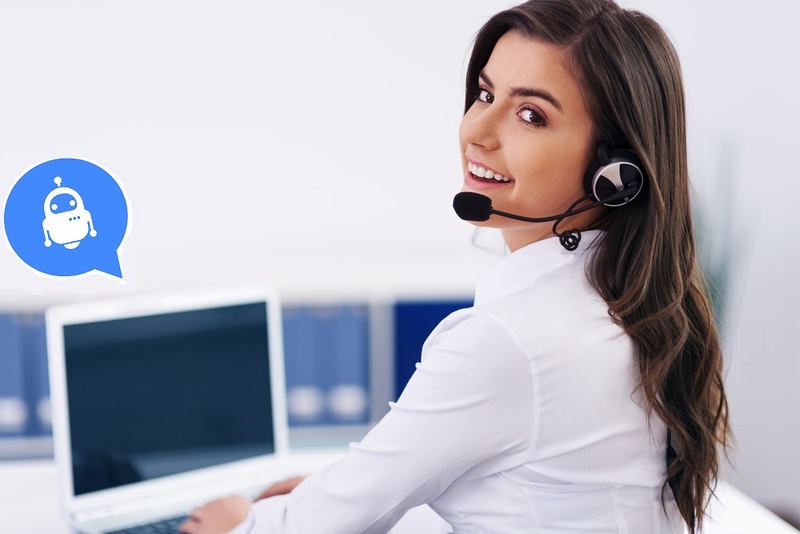 Our chatbots for tech support can assist your agents on the phone and automate the resolution of your most common issues while ultimately making your support team more cost-efficient. Best of all, our chatbots integrate with Relay, our state-of-the-art support platform, to provide a seamless stream between your tech support data and our propriety AI engine that powers our chatbots. As your organization uses Relay and the Relay Chatbots more and more, the AI will intelligently learn and adapt based on your organization’s tech support needs to provide a truly revolutionary support experience. We’d love to give you a demo and show just how powerful our chatbots can be when integrated with your tech support services. Get on board, the future of tech support is here! Want to read more about how AI will impact the future of customer service? Sign up for our monthly newsletter that shares our best content for free and follow our publication on Medium!